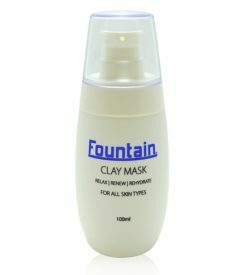 Fountain Cosmetics face masks online have been formulated to hydrate, nourish, and revitalise the skin. A face mask is an excellent way to remove impurities and is an integral part in any healthy skin care regime. We believe that using a face mask should be an overall relaxing experience which is why we have carefully formulated our face masks to be light and refreshing. Let us help you achieve the exceptional results you really want; our face masks are virtually unparalleled.Whether you’re looking for a face mask with anti aging properties, or simply wish to nourish and bring vitality to your skin, you’ll find what you’re searching for here. Our face masks contain active ingredients that help your skin’s ability to retain moisture which allows for a smoother and softer skin. 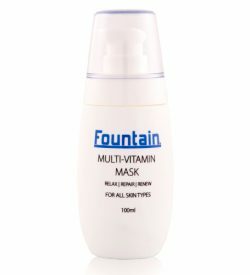 Hydrate, protect, detoxify, and exfoliate your skin with Fountain Cosmetics’ collection of face cream masks. Do wonders to your skin and browse our range of replenishing anti aging face masks. 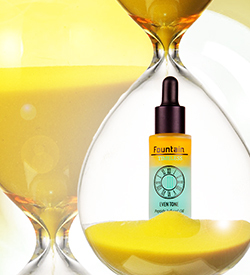 The secret to great, youthful looking skin is one click away.